The mightily impressive La Suprema can carry up to 2920 passengers on each of its crossings. 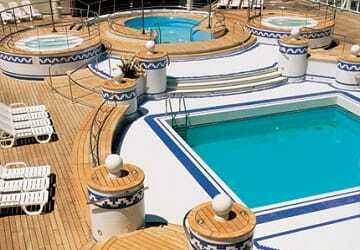 This ferry contains 567 cabins, 37 suites and also four specially adapted disabled cabins. There is room for 984 vehicles and the ship can reach speeds of up to 28 knots. Onboard you will find an array of amenities such as an a la carte restaurant, self-service restaurant, snack bar, children’s play area, games room, shopping and seasonal swimming pool. 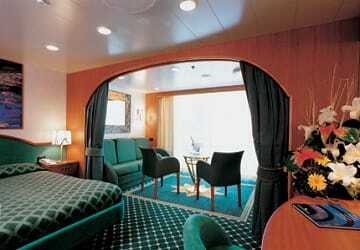 Comfortable cabin options are available onboard La Suprema. With 567 cabins and 37 luxurious suites to choose from, you won’t be disappointed. All cabins come with air conditioning, en suite bathrooms, including a shower and hairdryer and the comfy beds will help you put your feet up, relax and maybe get some much needed sleep. There really is something to please all culinary tastes on La Suprema, with a huge variety of food options available. The a la carte restaurant provides those onboard with a combination of Mediterranean, regional and international meals with a range of delicious dishes for all three courses. The self service area allows you to have a large array of different choices in an informal setting whilst the snack bar and pizzeria serve up fast food classics. In the summer months make sure you back those swimming costumes as you can enjoy the benefits of the Mediterranean climate from the on deck pool. 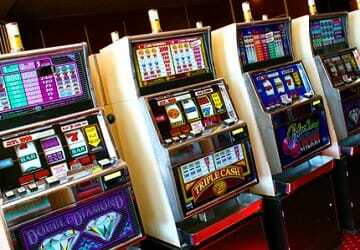 However, all year round you can while away the hours in the modern games room or if you fancy a little flutter, on the slot machines. If you and your colleagues need to have meetings on the move then you are covered thanks to the conference centre and meeting rooms. 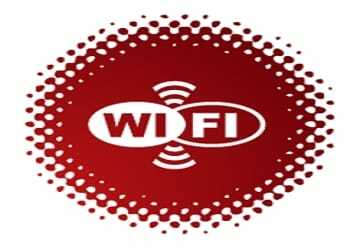 The public Wi-Fi also makes sure you can surf the web as well as the waves whilst onboard. 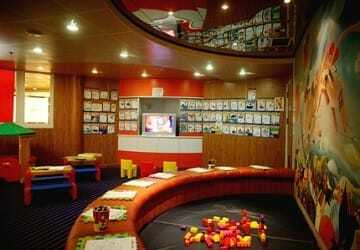 You’ll also find a chapel and library on the ferry. Please Note: Whilst we have taken great care in making our La Suprema guide as accurate as possible, onboard facilities, services and entertainment may vary depending on the date and time of year that you travel, facilities mentioned may change without notification and ferry companies reserve the right to operate vessels other than those mentioned at time of booking without prior notification. What an amazing trip and a lot quicker than driving. 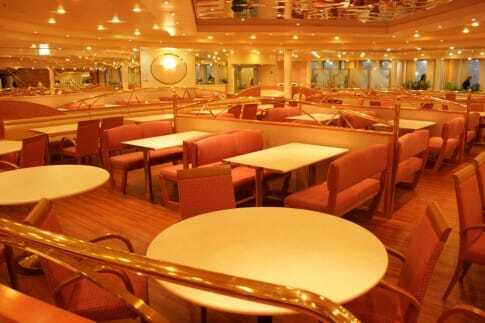 The boat is huge and the staff are so helpful but the food does not compare to Sicilian. 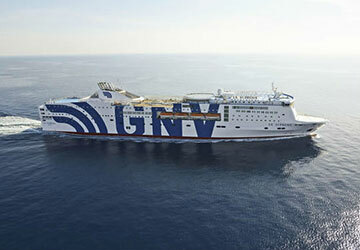 I think it been a nice and comfortable journey with GNV from Palermo to Genoa. I will use the service again for sure. The qualitu of food at the buffet was really poor and the staff did not speack english. This kind of ship should be avoid during the summer season because the better services like spa, disco or pool are closed. All nice and comfortable especially if you have the cabin. The only negative thing is that mannerless people let their pets get dirty inside the ship... We should have more stricter controls and rules. Good journey. I travelled for the second time with GNV. Unfortunately it was not good like the first one. No tv in cabin, rude staff and dirty enviroments. "staff of, food sent us to the hospital"
Nice ship but lots of noisy Italians upon boarding, we were the last to board and were left to our fate. Really enjoyed the trip, efficient and polite staff on board. A perfect and relaxed way to get to Sicily with your car. The quality of the service, clean cabins. We booked this trip online. Since the price difference between an inside and outside cabin was not big, this time we chose an outside cabin. The cabin seemed a bit bigger and to our surprise the ship seemed fairly new with a completely different interior than we were used to. In summary, the beds were good, it was clean, the food was good, and the shower provided good. A good experience, however pricey.. Dismbarking in Genoa went smoothly because everything was very well organised and the motorists drove off quietly. We could not find a room with a tv to watch something. What a deal. How can you beat it at this price? It would cost who knows how much to drive the length of Italy, with tolls, and the stress of roadworks. This was like a giant cruise ship. 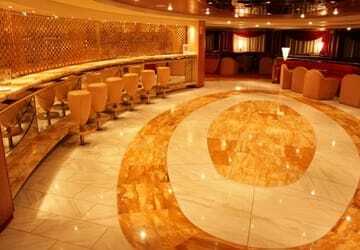 Bars, restaurants, cinema, casino, playroom for kids, showers for those sleeping in pullman seats. I went off-season, so very empty and plenty of space to stretch out and sleep. Don't know how comfortable it would have been in high season with just one seat per person; I'd probably have chosen a cabin, but as I was traveling on my own, it would have meant a shared 4-berth cabin. My only regret was that a man in an office told me there was no internet connection, so left my laptop in my car (no access to cars after departure). Yet of course there was Wifi (how could Italians be separated from their telefonini for 22 hrs!) 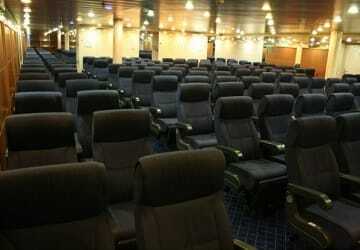 The captain said the sea condition was 'rough', but the ship is so huge it is very stable so very little movement. I I would highly recommend this option for getting to Sicily. There is an Ibis Styles right opposite the port, so it's only 1 minute to an overnight hotel. All in all it was an enjoyable and stress-free experience. The crossing it was comfortable but I want to point 2 things. 1)I did not like the change of cabin. 2)too long the waiting time before the boarding. It should be reducted in particular for who has the car in the A garage.